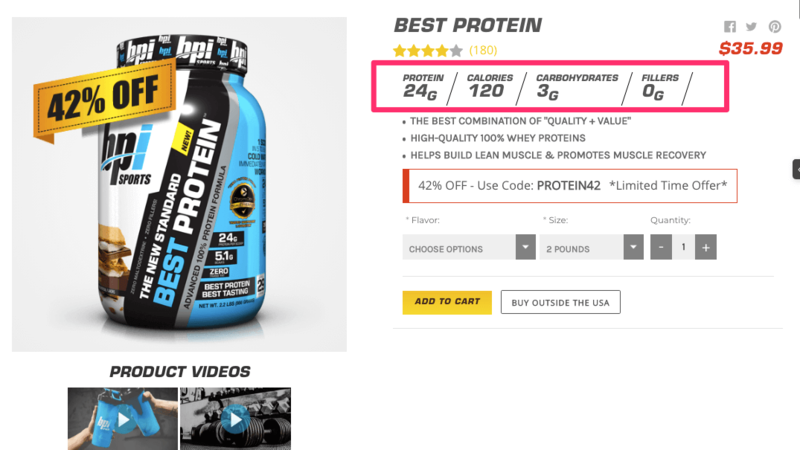 How much do product descriptions impact sales? 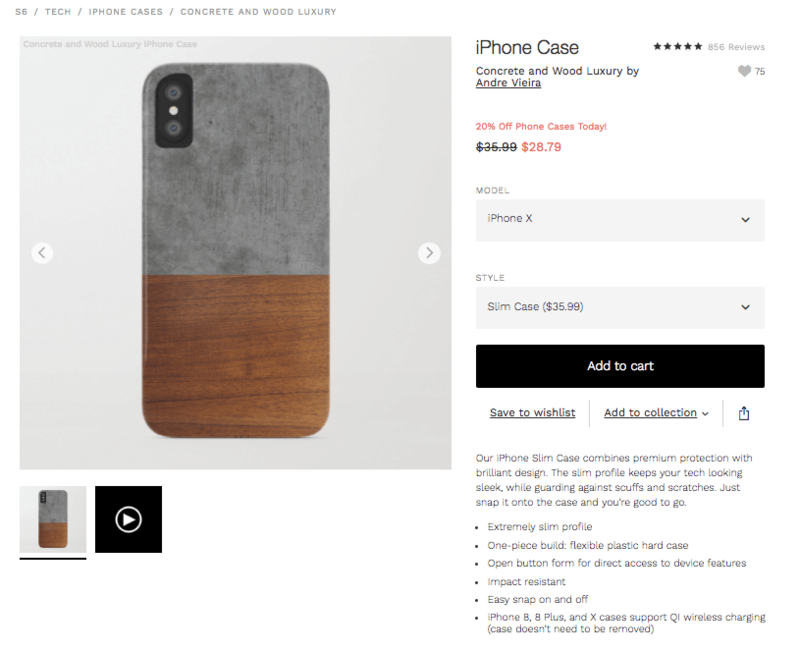 There aren’t that many case studies out there about product descriptions, so it is hard to say definitively. One e-commerce study found that 20% of purchase failures are potentially a result of missing or unclear product information. But some products seem to sell just fine with a title and a picture. So does it really matter? Yeah, it kind of does. I mean, you have to say something about your products, right? People do tend to gravitate toward certain words when shopping online. 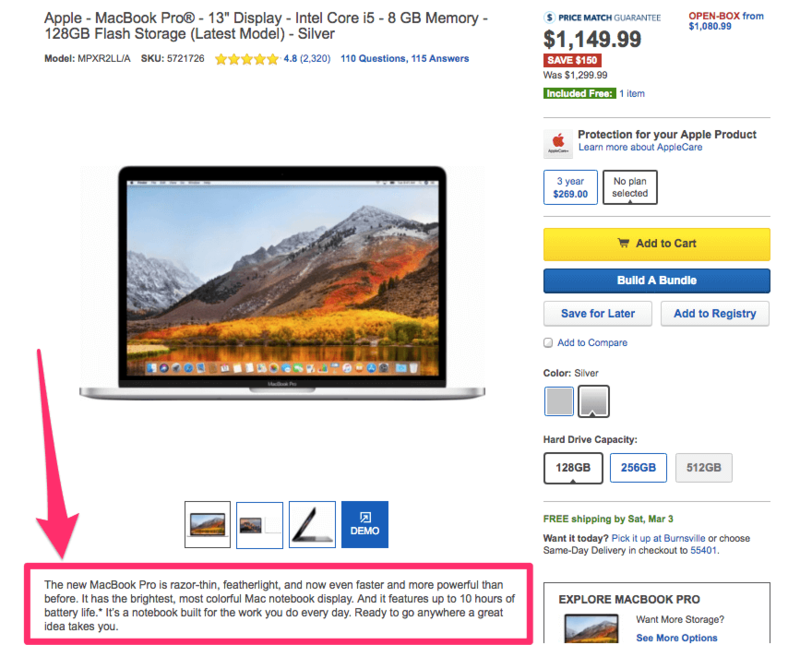 So yeah, a bad product description can potentially turn someone away from a sale. But if you currently have poor product descriptions, it’s not too late. You can easily turn a bad description of a product into one that sells with a few minor tweaks. It doesn’t really have as much to do with the length of text or the verbiage that you use. At least, those aspects aren’t as important as you might think. The main goal is simply to explain what the product does and why someone should buy it. When a product is self-explanatory, for example, you don’t need to be fancy. It’s fairly obvious what this product is and who it’s for. 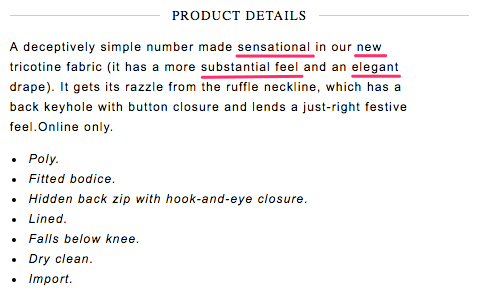 The product description doesn’t have to go into too much detail. 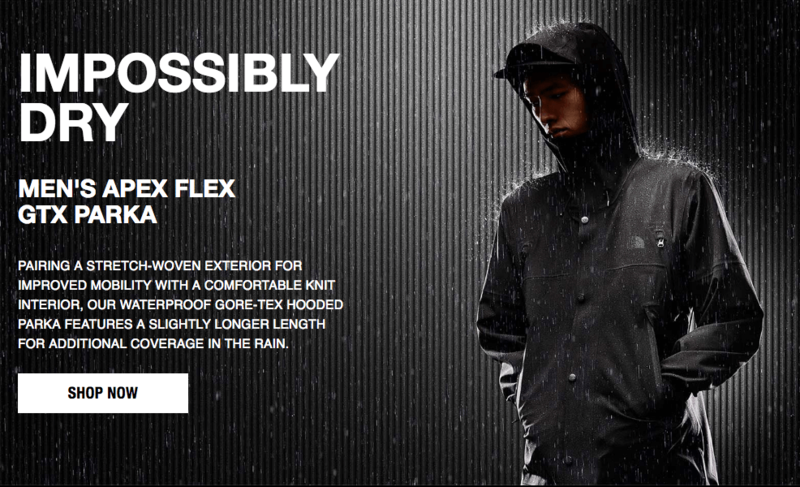 Sure, it explains that it’s a “soft, lightweight crew” and that it’s “made from a blend of Pima Cotton and Lyocell.” But that’s just bonus information for the shopper. In fact, most people probably won’t do much more than skim it. The selling factor for this shirt revolves more around things like image quality (it looks good on the model), size, availability, color range, and price. All of those things are there, so the text is less important. Even though it doesn’t include much detail, it’s a good product description. Do you know what it is just by looking at it? You could probably guess it’s a mask of some kind. And if you’ve ever used a snorkel before, you might recognize the design. Because this product is somewhat unique, it requires a bit more information. 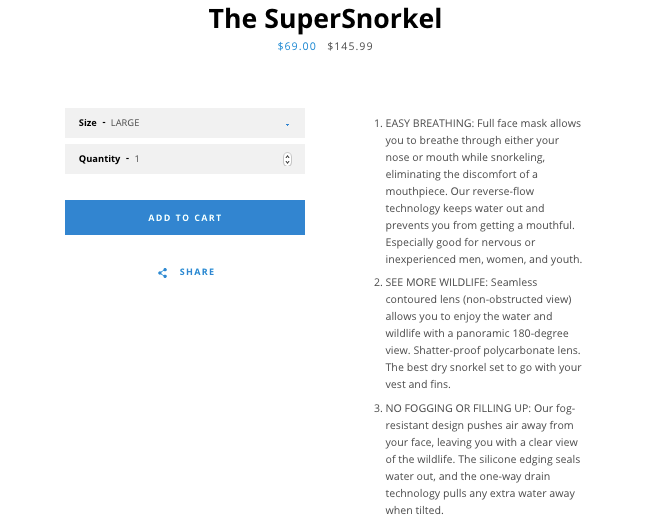 This company does a good job of outlining what the product does, why it’s better than a traditional snorkel, and how it can improve the diving/swimming experience. It’s a great product description for a somewhat confusing product. Clearly explain what the product does or its intended use. Offer added value or benefits. It not only has a description, but it also has tabs of technical specs and extended details on the product. Yes, all of that is for a water bottle. Is it necessary? For their customers, it is. So it’s a good product description. All of the examples above accomplish the same goal. They give the shopper what they need to know – nothing more, nothing less. A bad product description, on the other hand, does the opposite of that. Think of it this way: If you read a product description and you still have questions about it, then it didn’t do its job. But I don’t want you to write bad product descriptions. So here are a few tips for making sure that your customers get all of the details they need. 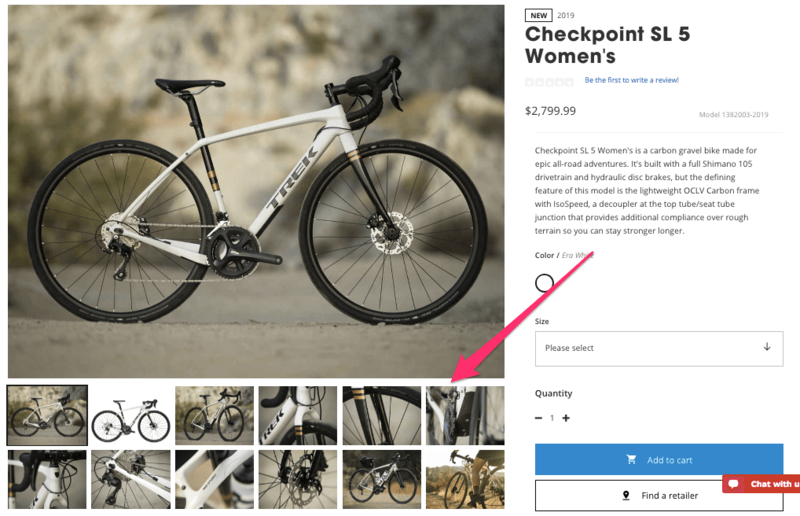 A good product description starts with a solid buyer persona. If you don’t know who is going to be buying your product, you don’t know what information to include or leave out in your description. 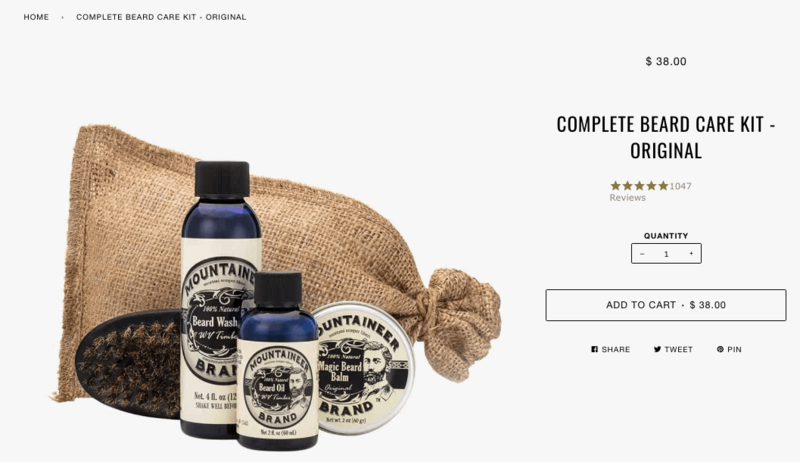 Above the fold, there’s nothing but a title — “Complete Beard Care Kit” — and a star rating. 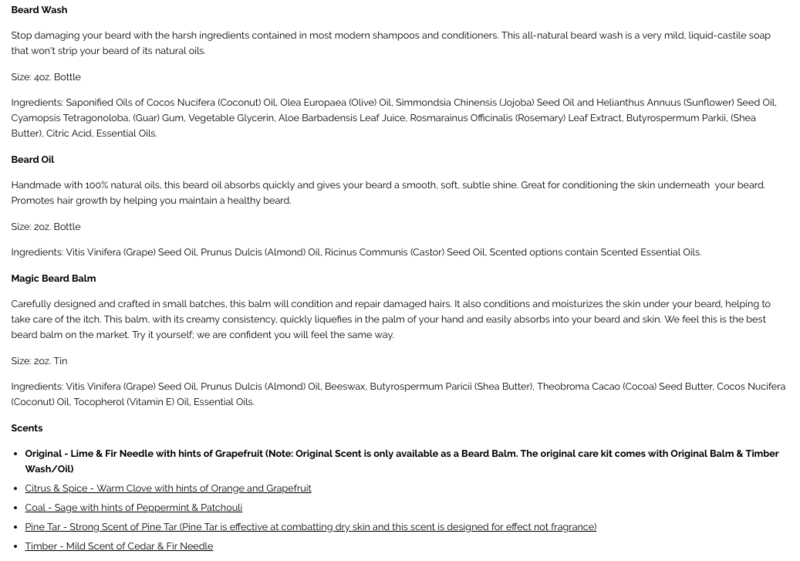 While a beard oil kit isn’t the most “out there” product I’ve ever seen, it is something that might be new to some people. If you’ve never used beard oil before, would you know how to use it properly? This company does a great job of not only describing what you get in the kit but also giving pertinent details about how to use it and why each product is beneficial. The description is for buyers who might actually need all of this information. 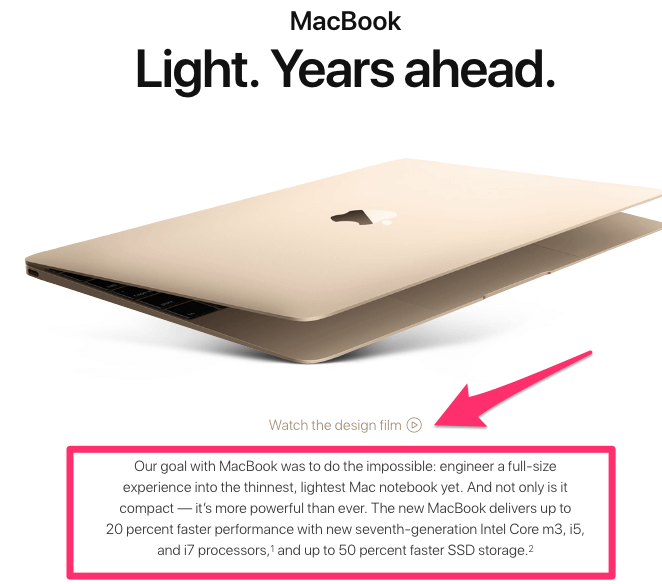 The only description that it includes about the Apple MacBook is the technical specs. But there are two reasons why this still works. First, Apple is a huge, international brand. 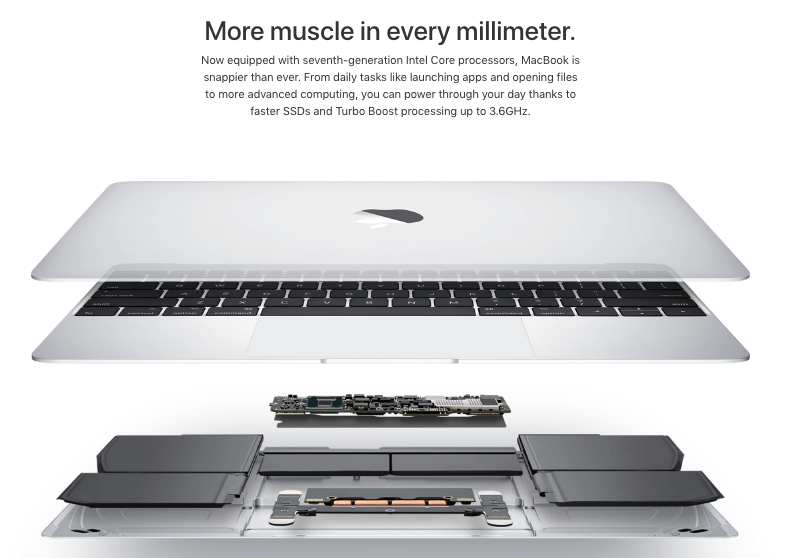 If I say “Apple MacBook,” you probably already know what it is, what it looks like, and what it can do. 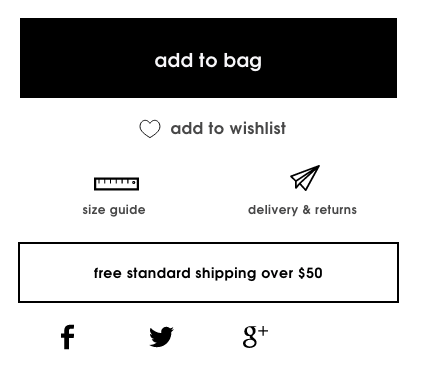 So when it comes to the actual shopping page itself, there’s not much more information you need. 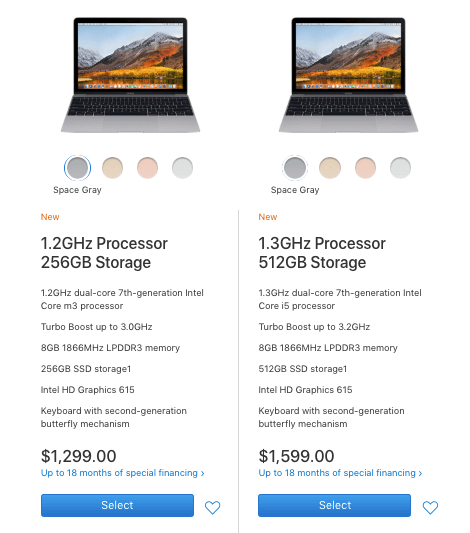 There are, of course, a lot of different people who buy Apple MacBooks for different reasons. But it’s safe to say that the bulk of them are probably computer-savvy. Their product descriptions tend to include a lot of technical details because their buyers are technical people (usually). Small description with a technical focus. When you’re selling your products, you want to keep your buyers in mind. Are they the end consumer — customers who are buying for themselves or others — or are they wholesale accounts? What are their demographics, ages, and interests? If you’re selling a jacket to a teenage girl, you’re probably going to use different kinds of descriptions than if you were selling a jacket to an older man, right? There are some differences, of course. 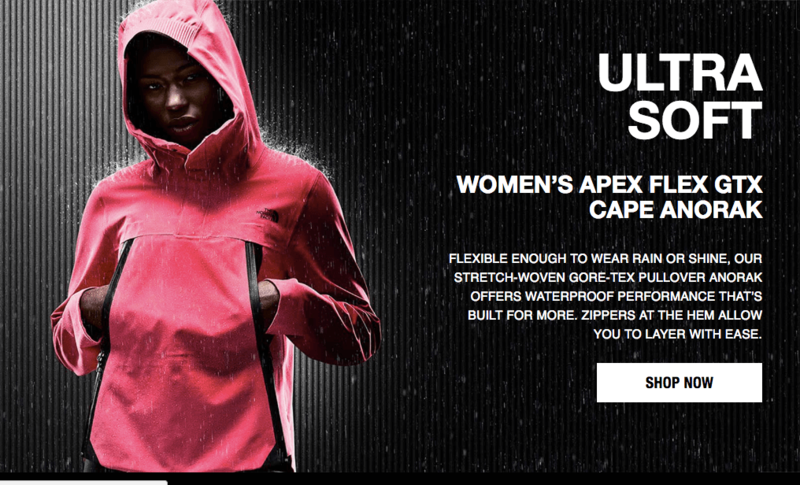 They highlight the women’s jackets as “soft” compared to “dry” with a focus on layering versus coverage. But overall, the basic descriptions do the same thing. Their buyer personas tend to fall into the “active, outdoorsy” category, which includes both men and women of various age groups. You also want to think about your buyer personas is their buying motivations and concerns. This will dictate which features or benefits you list in your product descriptions. You’re not just getting deerskin lining. You’re getting deerskin lining for a better in-shoe feel. It’s not just an EVA midsole. It’s for comfort and flexibility. 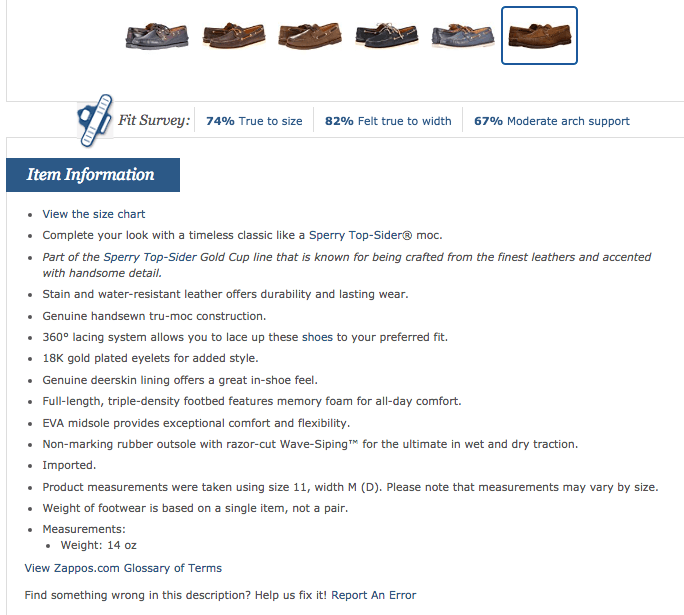 Could this product description have just said, “Brown deerskin leather shoes?” Yes, it could have. But it wouldn’t have been nearly as effective. If I’m selling this shoe against other similar shoes on the market, and if I know that my customers are concerned about fit, feel and comfort, then I want to give them a reason to pick my shoe. Adding benefits along with product features is a great way to do that. It could have just said it was a precision trimmer, but reading about the added benefit (for accurate edging) is helpful if I’m buying it because I struggle with edging. Adding the benefit answers my questions before I even think to ask them. Will this give me a smoother, better shave? Yeah, it says so right there. That’ll sell. You don’t have to list benefits of every feature. Pick the three highest value features. Describe the advantages of the features and what they bring to the table. Explain how it will solve a problem or help the customer. Keep your buyer personas in mind when listing benefits. If you know they are buying for fit or comfort, tell them your product has fit and comfort. Be sure to list the features that will appeal to your target audience. You might notice that the tone of some of these examples varies based on the brand. A good product description should sound like you. Is your brand conversational or professional? Do you like to use tongue-and-cheek humor, or do you keep things more straight-laced? There are some specs in there like the size and material type, but they are there to describe the feeling of the dress rather than the details. You’ll also notice that the text is all lower case. It’s all cohesive and believable. That’s what you want your tone to sound like. I wouldn’t expect anything less from Versace. Whatever your tone ends up being, the point is that you need to be consistent with it. If you look through their online catalog, you’ll see that each product has a similar description, though some are more cheeky than others. None of them are really related to the products, but they’re all the similar in attitude. 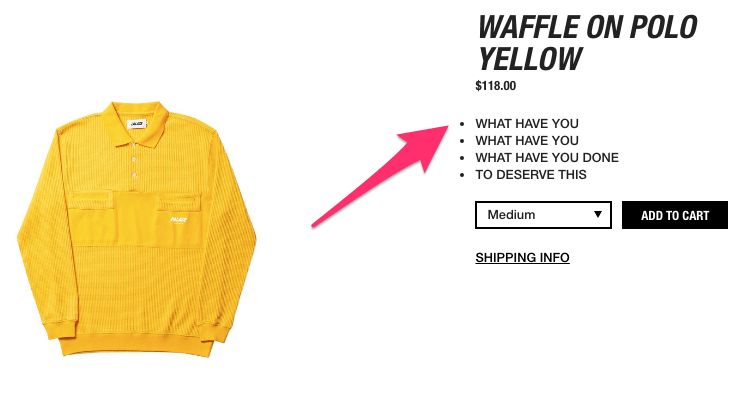 While it doesn’t provide tangible information about the product, I still like it because it fits perfectly with the brand’s tone (and their buyer personas). When you list most of the most information on your site as “boring stuff,” you can probably get away with those product descriptions. And hey, at least they kept them in a bulleted format so visitors can easily scan them. If possible, include bullet points. Why? People love to skim. In this age of information, few people really have the time to read everything they find online. They want the most important details first. 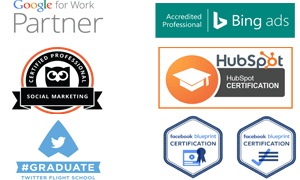 Bullet points provide a clear and concise way to display the most important information. Those simple bullet points are a good start, especially if the product doesn’t need a lot of descriptive text. But there are other ways you can use them. It’s not really skimmable text, but the bullet points trick you into thinking that it is. 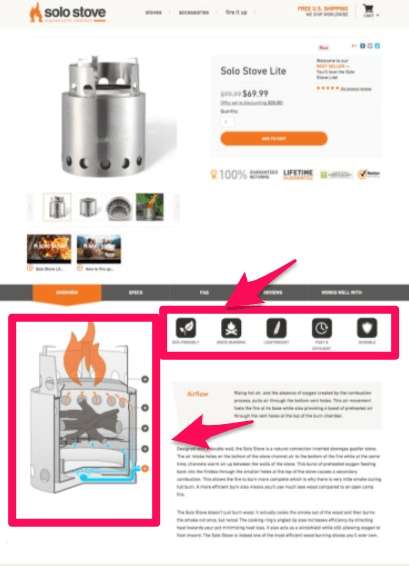 Most of their product pages look like this to some degree. 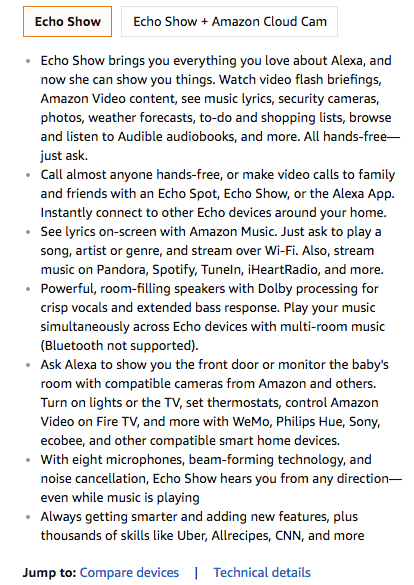 Amazon also hides the technical details of this product in another section of the page, which is odd for a product like this. But their buyers aren’t necessarily tech-savvy people, so they probably aren’t that interested in the specs. They’d rather read about the features and benefits. How does the Echo improve the lives of its customers? The bullet points will tell you. 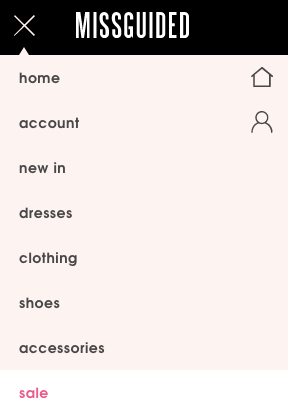 You can also use bulleted lists to add a visual element to an otherwise boring page. I like this because it feels like it’s telling me how this product will solve my problems. Even if I don’t take the time to read the full description, it feels like I’m crossing something off my list. I feel good looking at this. When in doubt, add some bullet points. Remember how Versace used phrases like “one-of-a-kind” to sell their bag? According to David Ogilvy, certain influential words can actually improve the persuasiveness of your descriptions. Would you spend $200 for this dress? Before you read the description that uses words like “sensational,” “new” and “elegant,” you might wonder why a basic red dress is so pricey. Once you know it’s a “deceptively simple number,” though, you might change your mind. Words have the power to do that. 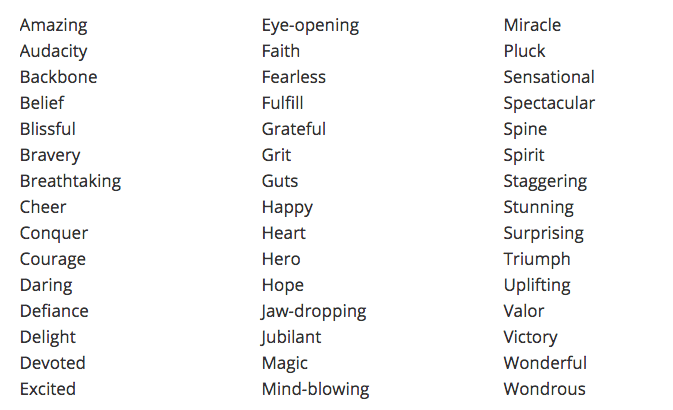 Jon Morrow has a list of power words that can sell almost anything. Adding a few of those to your product descriptions allows you to take something simple and make it pop. 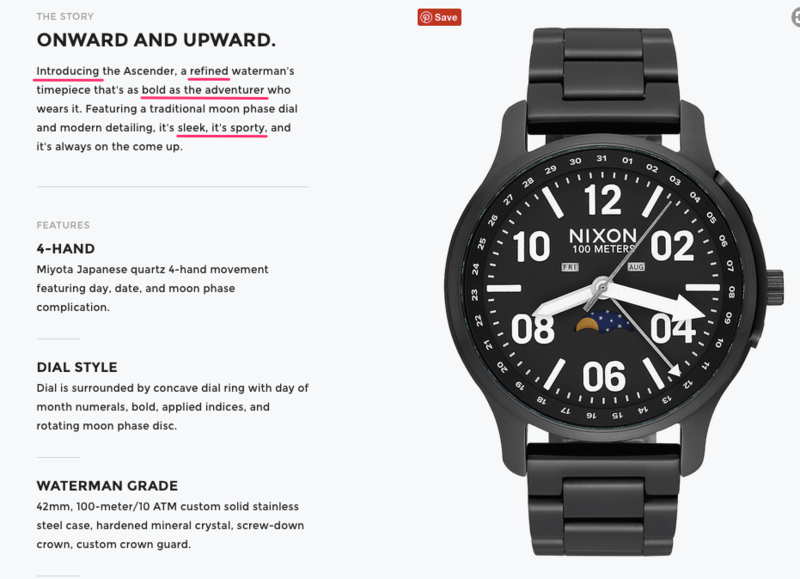 This watch is new, so Nixon is “introducing” it as a top-of-the-line product. You’ll notice words like “refined,” “bold,” “sleek” and “sporty” that describe the watch, but they also use those words to describe the buyer. If you buy this watch, you’re an “adventurer,” not just an average Joe. I can almost picture a salesman telling someone that they look like an adventurer. The words you use don’t only hold sway over the buyer. They’re also important for SEO. 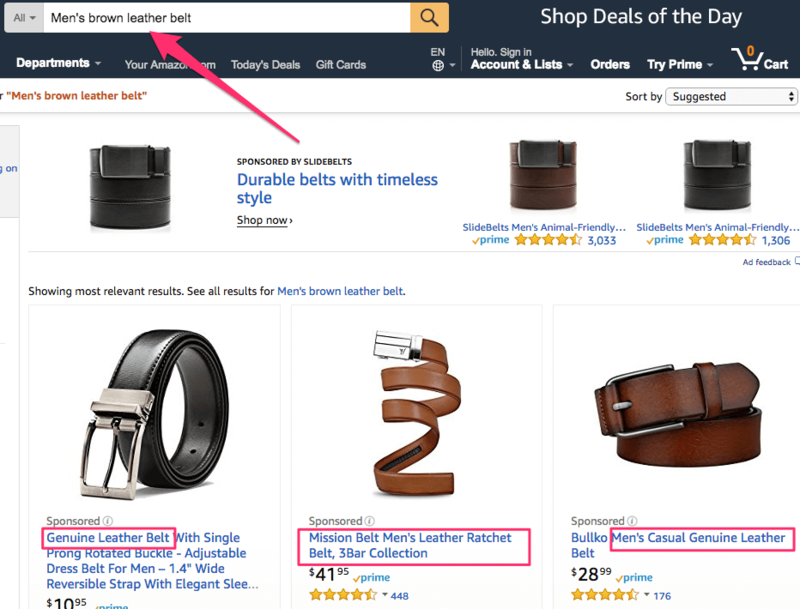 According to selling experts who work with Amazon, there is some anecdotal evidence that placing keywords in product descriptions — especially in bullet points — increases search rankings. I did a little keyword experiment of my own to see what I could find. 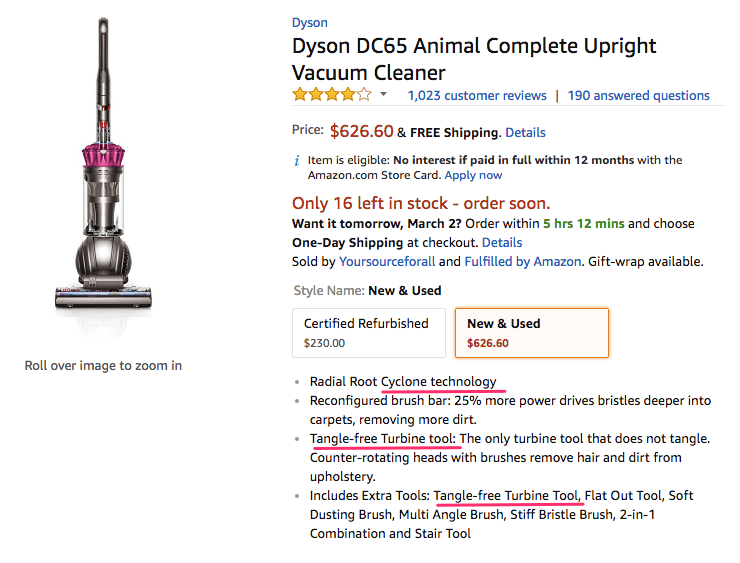 Here’s one of the top results for a search on Amazon for tangle-free vacuums. Does that mean it’s going to work every time? No, probably not. This approach didn’t work for all of the keywords I tried, so it’s hard to say definitively. 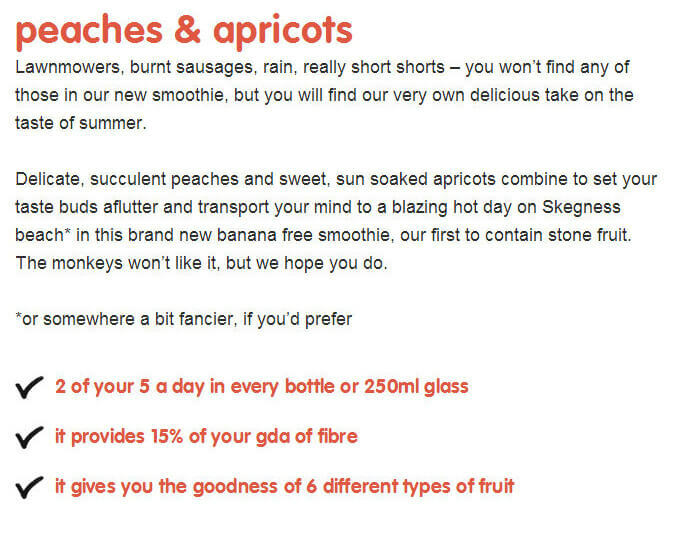 It seems that placing keywords strategically made more of a difference than simply putting them in the bullet points. 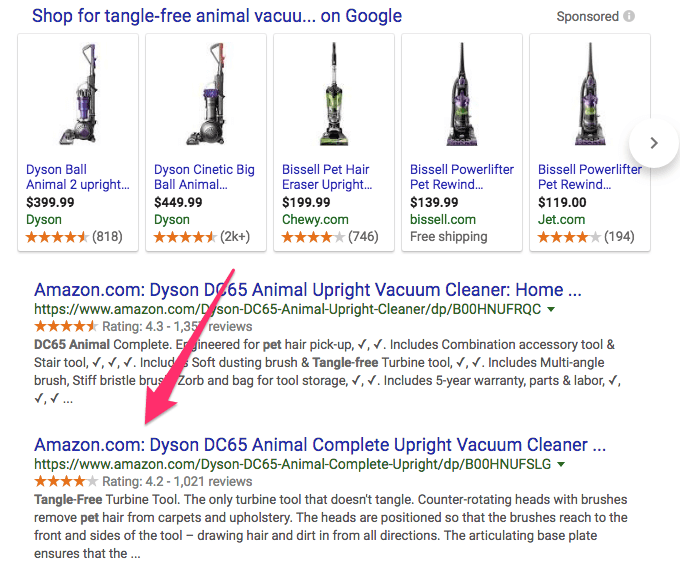 Keywords in the product titles, for example, seemed to impact SEO more than having them in descriptions. But many of the search results also had keywords in the descriptions. Like I said, it’s hard to tell how those keywords impact SEO. Ideally, you would use the same keywords in your meta descriptions as you do in your product descriptions. But if you feel like you could create better product descriptions by using creative text than by listing keywords, then give that a try. That might be a better approach for you. As a whole, though, including keywords in your titles and using your product descriptions to sell customers is certainly a good approach. 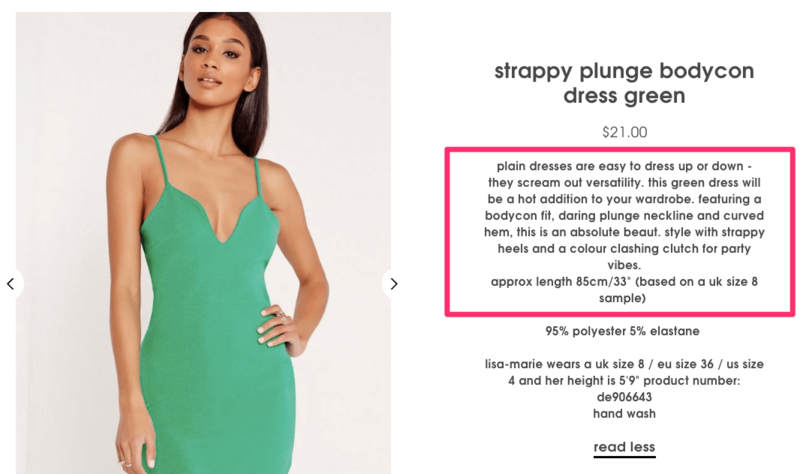 There’s a lot more you can do with your product descriptions than just describe products with words. As I mentioned earlier, a lot of shoppers will simply skip reading the descriptions altogether in favor of looking at images or videos. Studies show that 63% of consumers believe that good images are more important than product descriptions anyway. In some situations, it’s more important to show than it is to tell. They say that a picture is worth a thousand words, right? You can apply that principle to product descriptions. 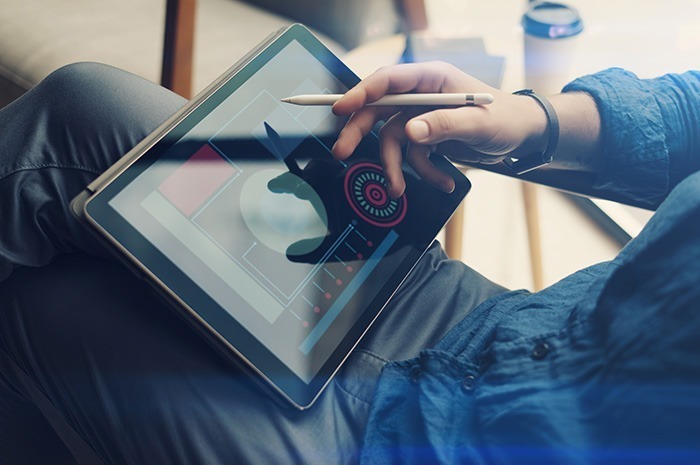 It might benefit you more to keep your text descriptions short and use icons, images, and mixed media like video to showcase a product. There’s a diagram of the product in action. And instead of bullet points, there are little icons at the top that list its best features. You’ll also find plenty of standard product images and a couple of videos that show the product in action. While this might be overkill for certain products, it works really well in this instance. 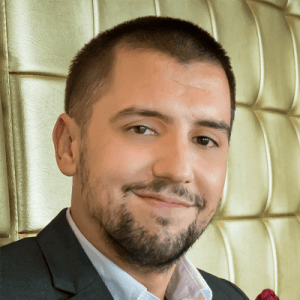 It has a short but detailed description, bulleted lists with SEO keywords, a fun but professional tone, a clear image, and a great product video. 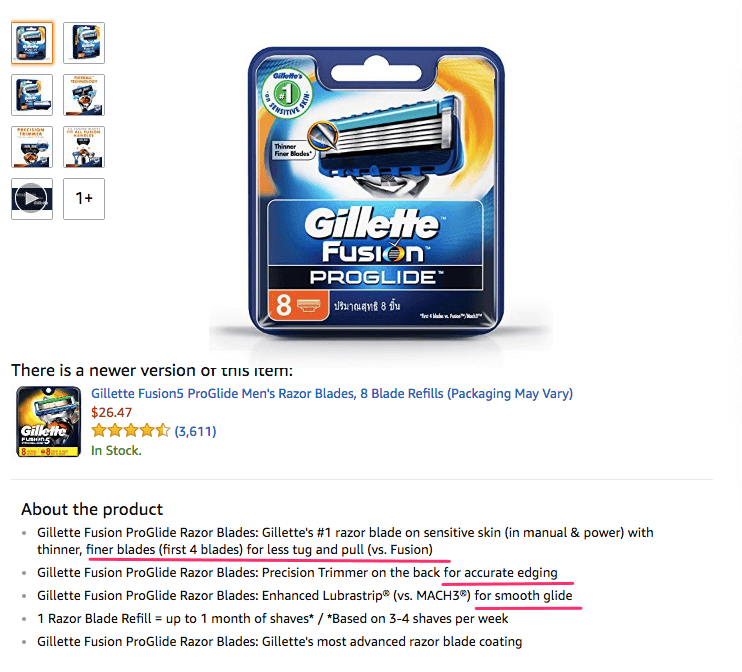 When it comes to creating product descriptions, you don’t have to limit yourself to what I’ll call the “Amazon format” (unless you’re selling on Amazon). You can branch out and use different mediums to sell your product. If basic bullet points work for you and your customers, then that’s great. Remember that a “good” product description is one that communicates the right information to your customers. If that means you need to create product videos, then put those front and center and limit your descriptions to simple bullet points. If that means having a full page of text explaining how to use your product, go for it. Focus on the things that will speak to your audience and give them the information they need. And if that doesn’t work, keep A/B testing until you find something that does. Of course, there will always be exceptions to the rules (I am looking at you, Palace Skateboards). But for the most part, a product description should be short and to the point. Try to include keywords that are search engine friendly. However, if you cannot fit them in the description, put them in the product title instead. If nothing else, focus on using power words in your descriptions to make the product stand out. 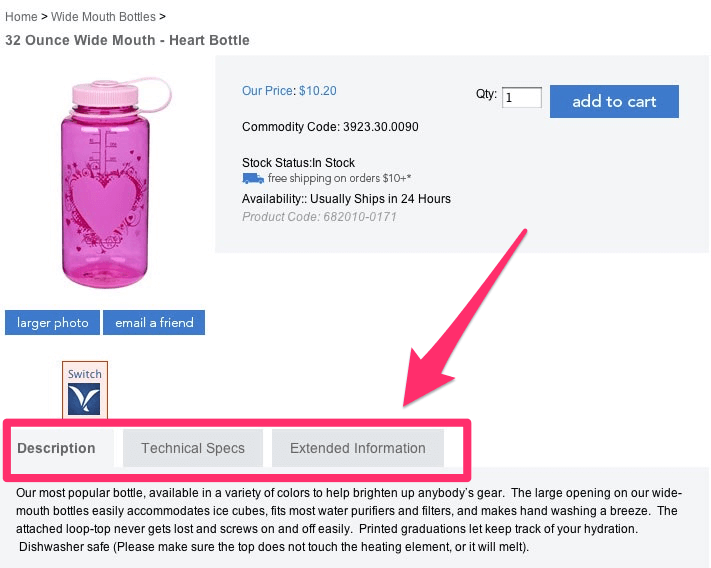 Ultimately, you want to craft a product description that gives your shoppers the information that they need. If it is clear and concise and skimmable, it is probably good. So don’t worry so much. If it works, it works. Stick with that formula.